It is said that positive developments seldom receive the media attention they deserve. This is certainly true of post-quake events in Nepal. Last week, Kathmandu was host to the International Conference on Nepal’s Reconstruction, a successful event both in terms of its preparatory work and the international response generated. The role of the Indian delegation, led by Union External Affairs Minister Sushma Swaraj, was effective and non-controversial. Domestic politics took a positive turn with the agreement between the four major parties announced on June 8 which could provide a much needed impetus to the constitution drafting exercise which has been stalled for over five years. Submarines have no role to play in anti-piracy patrols, which need a combination of ships with helicopters and shore-based patrol aircraft to monitor sea traffic... So why have Chinese subs begun to prowl the IOR? Unlike India, where submarine force levels have reached an all-time low of 13 obsolete conventional subs, China has always regarded its conventional and nuclear submarines as the spearhead of its long-range blue water capability. The Chinese Navy has about 50 conventional subs and 10 nuclear subs. And, more ominously, it has begun exporting its conventional subs at prices well below the international price. A French or German sub It costs about $1 billion, and a Russian sub about $600 million. But, recently, Bangladesh signed a contract to buy two Chinese Ming-class subs for a total of $203 million, Thailand has decided to buy three Chinese Yuan-class subs for $355 million each, while Pakistan has signed a contract for eight Yuan-class or Qing-class (improved Yuan class) subs for an undisclosed amount. Four of these subs are to be imported and four are to be built in Pakistan. These subs have air-independent propulsion system and can carry three nuclear-tipped 500-km range Chinese-designed cruise missiles that could threaten Indian coastal cities. After clashes with Islamic State (IS) fighters killed more than 100 people in Egypt’s Sinai Peninsula, Cairo has vowed to continue its operations against Sinai Province, the IS franchise in Egypt, till the area is cleared of all militants. The simultaneous raids on the Sheikh Zuweid and Rafah checkpoints by the extremists followed Monday’s assassination of the Egyptian prosecutor general, Hisham Barakat, in a car bomb attack that appears to have been the handiwork of Sinai Province. Sinai has been under curfew since last October, when several soldiers died in a militant attack. 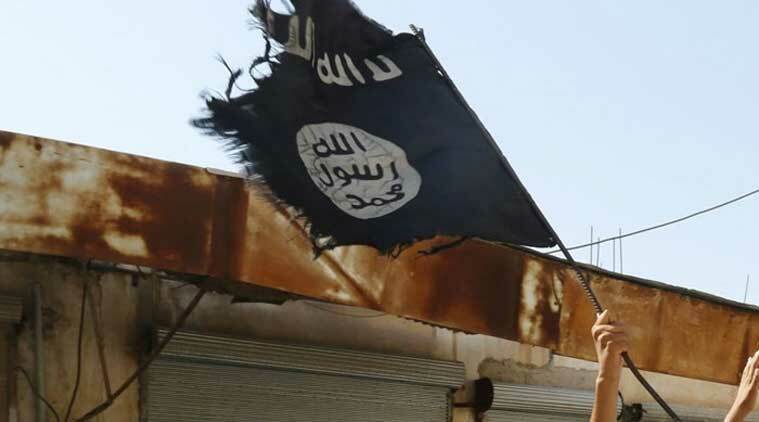 The next significant development had come in November, when Ansar Beit al-Maqdis pledged allegiance to the IS and changed its name to Sinai Province. The recent incident of killing of a senior police officer by his subordinate in Mumbai set the alarm bell ringing and made the police leadership to assess the psychological state of policemen in the city. Though such surveys are rare to police in India, Singapore Police Force continually sense the motivation and morale of their officers through the Organisational Health Survey (OHS). The OHS is a regular staff feedback exercise so as to ensure that officers remain passionate in their work. 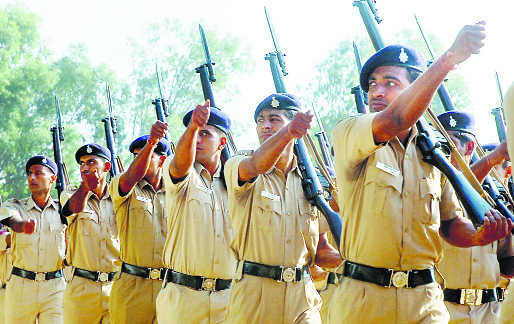 In the Police Departments in India, supervision is usually based upon a pattern of downward communication, from higher ranking members to lower ranking members, with less opportunity for lower ranking members to communicate upwards. Furthermore, in event of any crisis or incidents of malpractices coming to light, typical response of the senior officers has been to shift the decision making power upwards and thereby further curtailing authority at the cutting edge. On the last day of February this year, the stylized presentation of the Union Budget was much awaited for the substance of its content, it being the first full Budget of the present Government. 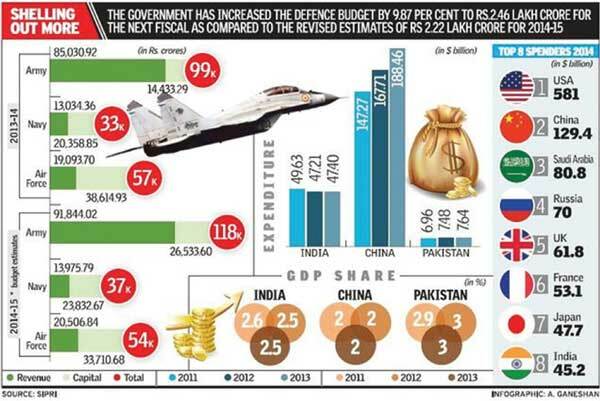 Equally awaited by the defence and strategic community were the details of the Defence Budget. It was followed by the annual ritual of commentary and debate on the various aspects of the Defence Budget. An increase over the previous year beyond the inflationary trend of the economy and its percentage of the Gross Domestic Product (GDP) is the first issue in these discussions. The revenue and capital allocations, overall, and further sub-allocation service-wise are the other relevant factors that are generally discussed. Delhi, as also many state capitals, is teeming with government offices and people. What is stopping the government from dispersing this load across virgin areas? Most capital cities have a concentration of government offices of various tiers and responsibilities crowded in as close as possible to the real and imagined corridors of power. In India, apart from the various ministries, departments and agencies, we also have a concentration of corporate offices of Public Sector Undertakings in New Delhi. Many of these actually need not be here. From 1886, when Sri Ramakrishna Paramahamsa died, to 1986, when J. Krishnamurti died, is a hundred years and in these years you have a virtual cricket team of sages set up. There is a marvellous picture of Sri Ramakrishna doing a kirtan like that . . . he looks like an off-spinner in cricket in that. He’s a supreme cricketer and he’ll bowl out violence and hatred and greed, only if we give a chance, if only we include him in our team. In India, why have so many sages and saints been packed into the last 100 years? I often asked myself this and said, could it be that here is another instance of our desire to make idols of human beings? I don’t think so, Indians really, believe me, are very shrewd; they don’t get deceived by false gurus at all, I can tell you that. They are able to recognise a genuine sage, and very easily too. They have recognised Sri Ramakrishna, Sarada Devi, Swami Vivekananda, Ramana Maharshi, Sri Aurobindo, Mirra Richard, Krishnamurti, Gandhi and others. I am not suggesting there’s a closed list which excludes anyone, [but] at least these. The defence ministry is on a decision-making blitzkrieg ever since Manohar Parrikar assumed office more than six months ago, but despite going full throttle it is still far away from streamlining the rules for smooth acquisitions. While the government on paper has cleared new projects worth one lakh crore in the recent months, much is needed to ensure that the modernisation drive of armed forces remain on the track. One of the key aspects for oiling the machinery was to have new rules of procurement in place but despite promises of quick delivery, the ministry is yet to come up with new acquisition process. The government has made its intention clear that its emphasis is on speedy decisions to overcome the backlog of indecisions. Risking criticism from opposition, the government has even preferred to do away the long winding process of competitive bidding by going for more government to government contracts that are generally faster. The Manipur State Government on June 9, 2015, agreed to extend the Suspension of Operations (SoO) with the United People’s Front (UPF), an umbrella organisation of eight Kuki / Zomi militant groups, for another year till June 8, 2016. The talks with the rebel conglomerate were also upgraded to “political” from the earlier ‘official’ level. Later, former Mizoram Chief Minister Zoramthanga, who was present in New Delhi and played a significant role during the whole process, stated on June 14, 2015, that delays in peace talks between the Centre and militant groups was harming mutual trust between the two sides. Zoramthanga argued, “Years have passed after signing SoO earlier, but without any formal parleys,” adding that the groups had refused to sign the SoO over the preceding nine months [the previous agreement lapsed on August 21, 2014] creating an explosive situation in the North East. Zoramthanga further announced that, "The government has agreed to a political settlement with the members of eight underground groups." Zoramthanga has been facilitating contacts between the rebels and Government, and concedes, “I am neither an interlocutor nor an official mediator. My role was to build mutual trust between the Government and the groups. I just helped both the sides take part in the meeting." The eight underground groups under UPF are: Kuki National Front (KNF), Zomi Revolutionary Organisation (ZRO)/Zomi Revolutionary Army (ZRA), Kuki Revolutionary Army – United (KRA-United), Zomi Defence Force (ZDF), United Kuki Liberation Front (UKLF), Kuki Revolutionary Front (KRF), Zomi Defence Volunteers and Hmar People's Convention-Democratic (HPC-D). Two 'commanders' of the Balochistan Liberation Front (BLF) and Tanzeem Lashkar-e-Balochistan (TLB), along with a group of 57 insurgents, laid down their arms in the presence of Pakistan Muslim League-Nawaz (PML-N) leader Nawab Sanaullah Zehri in the Khuzdar District of Balochistan on June 13, 2015. According to reports, BLF commander Din Jan aka Meeran and TLB leader Ubaidullah aka Beebarg laid down their arms and vowed to join the ‘national mainstream’. The leaders also chanted ‘Pakistan Zindabad’ (Long Live Pakistan) and ‘Balochistan Paindabad’ (Balochistan Live Forever). The next day, on June 14, another two 'commanders', along with 47 militants from banned Baloch insurgent groups, laid down their arms and renounced violence in the presence of Balochistan Home Minister Sarfraz Bugti at Quetta. The two commanders, Madina Marri and Shikari Marri, were affiliated with the Baloch Liberation Army (BLA) and United Baloch Army (UBA), respectively. China has stationed at least three BZK-005 unmanned aerial vehicles (UAVs) on Daishan Island in Hangzhou Bay, an inlet of the East China Sea near Shanghai. The development confirms Chinese drone operations in the East China Sea, where it unilaterally declared an air defense identification zone (ADIZ) in November 2014. Satellite imagery analysis by Chris Biggers over at Bellingcat shows the three medium altitude, long range drones sitting at the Daishan airfield, which Biggers describes as “one of the few dedicated facilities for drone operations known in China.” Chinese military UAVs were thought to have been operating in the East China Sea since at least late 2013. Reports from fall 2013 noted that Japan’s Air Self-Defense Force (ASDF) had scrambled a jet to monitor a “drone of unidentified nationality” flying over the East China Sea. Later, Japan’s defense ministry released imagery all but confirming that the unidentified UAV was likely a Chinese BZK-005. These means that these drones have been operating off Daishan and into the East China Sea for at least two years. Tensions between Japan and China spiked over the East China Sea in late-2013 and early-2014 over the Senkaku/Diaoyu dispute. In recent months, the situation in the East China Sea has been calmer and relations have improved between Tokyo and Beijing (meanwhile, the South China Sea continues to heat up). The United States has repeatedly called for China to be integrated into the liberal international order. U.S. President Barack Obama, in an interview in November 2014, “absolutely” rejected the notion that the United States seeks to contain China, and instead stated that a principal goal of his administration’s China policy was to “integrate China into the global economy.” Various American international mavens, especially John Ikenberry, strongly favor this approach. However, the Obama administration’s approach to the Trans-Pacific Partnership (TPP) suggests that the United States is less than welcoming of China’s integration. True, the then-Secretary of State Hillary Clinton stated in 2013, “We welcome the interest of any nation willing to meet the 21st century standards of the TPP—including China.” However, the United States standards of joining the TPP pose severe barriers to China’s participation. These include dramatically increased transparency, much higher labor and environmental standards, respect for human rights, and reducing trade barriers (which a Chinese official said were “an American trap for China, a threshold we can’t possibly reach”). It is like stating that a tiger is welcome into Noah’s ark—as soon as he changes his spots. Just after we posted an article on China’s amazing stock market success in recent months, the bubble burst and the frenzied buying went into reverse. Last week was the worst since 2008. The CSI 300 Index, which tracks the 300 largest companies in China, experienced its biggest one-day loss in seven years last Friday. The sharp stock market selloff occurred shortly after Morgan Stanley Capital International (MSCI) chose not to add Chinese shares to the MSCI Emerging markets Index, since institutional stock quotas are insufficient, capital controls are cumbersome, and ownership rules via the stock-connect program are unclear. Although this was not the sole reason for the stock slump, it certainly did not help matters when Morgan Stanley also released a pre-market research note predicting a decline in the Shanghai Composite and other analysts followed suit. Fears of overvaluation in the stock market have been confirmed in recent days. China’s evolving policies toward Afghanistan hardly illustrate a rising power bent on territorial expansion and could be a possible area of Washington-Beijing cooperation. The 7th Strategic and Economic Dialogue (S&ED) with China has recently concluded in Washington. Hawks will no doubt opine that the Obama Administration has not shown adequate backbone in standing up to China in the South China Sea. Doves, by contrast, will complain that progress on key issues, such as North Korea’s expanding nuclear arsenal, have been superseded by tense discussions about reefs and rocks. Sanctions relief will mean "more mansions and Ferraris on Tehran’s streets." A final nuclear agreement between Iran and the P5+1 (United States, Russia, China, United Kingdom, France, Germany) could lead to substantial sanctions relief and economic benefit for Iran. More than $100 billion of Iranian oil proceeds are “frozen” in foreign bank accounts under the current sanctions regime. The repatriation of Iran’s money would no doubt boost a flagging economy. Moreover, Iran’s ability to boost oil exports and attract foreign investment in the future could lead to a reinvigorated economy. Some analysts and commentators have argued that the easing of sanctions would allow the Iranian government to expand its regional influence by increasing aid to allies such as the Syrian regime and Hezbollah. Others claim that the government of President Hassan Rouhani would instead focus on domestic economic issues instead of spending money on adventures abroad. Friday, June 26 was a day of terror. In Tunisia, a gunman killed 38 tourists, nearly all of them European, at a beach resort. In Kuwait, a suicide bombermurdered 27 people at a Shiite mosque. In France, an assailant decapitated his boss and attempted to blow up a chemical plant. ISIS claimed responsibility for the first two attacks; the perpetrator of the third appears to have ties to radical Islamist groups. As Iraqi government forces struggle to hold their own against the self-declared Islamic State, the limitations of the current U.S. strategy have become clear. Our side is losing both individual battles and the larger war. Although the fight against the Islamic State will not be won by ground combat alone—Vietnam taught us too well the gap between tactical success and strategic victory—we must begin by winning on the battlefield. In turn, this will require a reexamination of how U.S. forces in the region operate, as well as what level of risk senior leaders are able to accept. To address the Islamic State’s tactical successes, there are increasing calls to embed U.S. combat advisers with Iraqi government-aligned forces, removing restrictions that keep U.S. expertise far from the front lines. However, as Marcus Weisberger in Defense One points out, one does not simply embed U.S. troops in Iraq. Calls to allow U.S. troops to accompany Iraqi military units on offensive missions generally ignore support requirements. If we apply the risk-to-force calculus we have become accustomed to during the past fourteen years, the logistics and support tail required to support embedded advisers in Iraq would include medical evacuation, personnel recovery, combat search-and-rescue, quick reaction forces, and compounding logistics. Brazilian President Dilma Rousseff’s was in Washington D.C. this week to meet with President Obama. The trip came two years after she had famously cancelled a state visit in 2013 in protest following allegations that the NSA had spied on Brazil and Rousseff personally. At the time, the Brazilian president was very public and vocal in her denunciations, calling the espionage “manifestly illegitimate” and expressing her outrage at the United Nations. While the U.S.-Brazil cyber relationship hit the rocks in the immediate aftermath of the Snowden disclosures, it seems like time and some deft diplomacy has helped patch things up. At this year’s Summit of the Americas, Rousseff indicated that she’s moved on. Central Asia appears to be the last frontier in which Russia’s narrative still holds. Moscow’s annexation of Crimea was a geopolitical earthquake with tremors extending as far as the information sector. In this new era of “hybrid warfare,” military capabilities and traditional manifestations of power merge seamlessly with intangible factors such as discourse. Unlike traditional diplomacy, which is based on persuasion and credibility, the so-called “weaponization of information” is quintessentially postmodern, involving an endless volley of dialectic white noise designed to sow confusion. When truth is relegated to perspective, debate and reality-based discourse become anachronistic oddities. This month, Jane’s Intelligence Review published a report revealing that Russia secretly tested its Yu-71 hypersonic glide vehicle (HGV) from an SS-19 missile in February of this year. “A test launch from the Dombarovsky missile division site in February 2015 suggests that Russia is actively pursuing the development of a hypersonic glide vehicle that could potentially expand the long-range strike capabilities of its Strategic Rocket Forces,” the Jane’s report said, theWashington Times reported. "So long as China maintains its position as a key trading partner and source of large-scale investments...Beijing will maintain significant influence over its neighbors." India is standing on the cusp of a digital revolution. The government's Digital India plan is transforming the country into a digitally empowered society, with a growth curve that mirrors that of the US a few years ago, and China more recently. However we have to act fast. More than 1 billion people are still offline and India is at risk of missing out on the social and economic opportunities that the internet can bring. We know that the internet has the power to change lives and communities for the better. It has played an important role in the development of cities like Bangalore, helping innovators and entrepreneurs share ideas and connect with investors from around the world, leading to the emergence of new industries and increasing skilled employment. In 1961, the economist Robert Mundell published a paper laying out, per the title, “A Theory of Optimum Currency Areas.” In it, he inquired about the appropriate geographic extent of a shared unit of money. Was it the world? A country? Part of a country? A border-spanning region of, say, the western parts of the United States and Canada, with a separate currency circulating in the eastern parts of the two countries? As enemy defenses grow more sophisticated and longer-range, the US needs new tactics — and longer-ranged weapons. Washington’s gotten used to war on easy mode. Policymakers may debate the strategic value of air campaigns in places like Syria, Iraq, and Yemen, but they assume the smart bombs will hit their targets. One bomb, one target, one boom. If you read articles lately, you know that there has been a substantial uptick in talk about cyberattacks, with an increased use of the term "cyber war." Some individuals are talking about the need for a counter-attack as a result of the OPM breach. Others have pointed to the Sony attack in 2014 as an act of cyber war. These calls have many asking what constitutes an act of cyber war – where is the line? That is a fair question, but most of those that are posing that question will not like the answer. For a few years now, we have known that DoD has concluded that computer sabotage conducted by another country can constitute an act of war. Earlier this year, Defense Secretary Ash Carter told the Senate Armed Services Committee that an act of cyber war is defined as a cyberattack targeting critical infrastructure, the economy or U.S. military operations. The U.S. and United Kingdom have been trying to find ways around anti-virus and security software by surreptitiously studying the products and the companies that make them, according to various published reports. Moscow-based security software maker Kaspersky Lab is one of the prime targets of the effort, according to a report at ZDNet.com. Citing documents released by National Security Agency whistleblower Edward Snowden, the website reported that NSA and Britain's Government Communications Headquarters (GCHQ) studied Kaspersky's software to look for weaknesses. GCHQ sought a warrant to allow it to reverse engineer Kaspersky's software to find a way to neutralize it, according to reports. The spy agencies have reverse engineered software products, sometimes under questionable legal authority, and monitored web and email traffic in order to discreetly thwart anti-virus software and obtain intelligence from companies about security software and users of such software. One security software maker repeatedly singled out in the documents is Moscow-based Kaspersky Lab, which has a holding registered in the U.K., claims more than 270,000 corporate clients, and says it protects more than 400 million people with its products. ARE YOU READY FOR THE NEXT WORLD WAR?